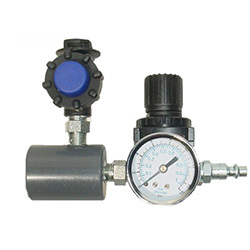 Chemical Compatibility with the Product to be Pumped - Review the MSDS (Material Data Safety Sheet) which accompanied your product to see its exact chemical or combination of chemicals. Power Pumps: A specified rate of gallons per minute which they can pump that is dependent on the viscosity of the fluid being pumped and the power. 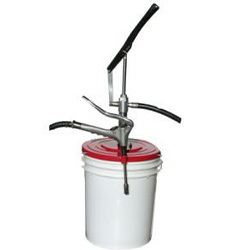 BASCO has pumps for a wide range of sizes for one gallon bottles or 5 gallon buckets or 275 gallon IBCs/Totes and everything in-between. 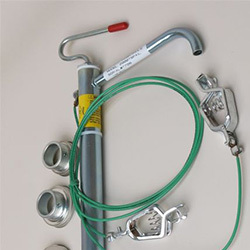 The pump tube length determines the general size of the container that it will fit best, but even a 55 gallon pump can be used in a 30, 20, or 15 gallon drum. 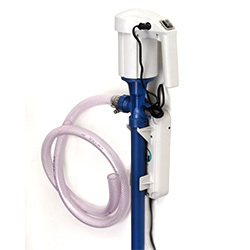 Power vs. Manual Pumps - A manual hand pump for 5 gallon bucket is powered by the user such as a rotary pump or transfer pumps. 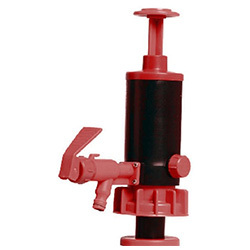 Power Pumps are available in electric or air operated pump varieties. Your choice will depend on what type of power you have, or plan to install, in your facility.